Is sustainable economy a murky taboo? The answer is yes. Sustainable economy is a concept with conflicting interpretations, a concept that the policy documents of sustainable development have not even attempted to define and that is not sufficiently debated in society. Some define sustainable economy as a smoothly functioning economic system, while others say it is sustainable production and consumption. Still others see it as a new way of thinking that will shake the foundations of society and redefine the central economic concepts – including economic growth. Yet almost all agree that we cannot waste time debating definitions. The time to act is now. There are already many actions being planned and taken related to sustainable economy – as well as sustainable production and consumption. However, since sustainable economy is such a murky taboo, it is especially challenging to enforce the related societal discussion – i.e. the words. Both actions and words are necessary. According to a recent statement by the Expert Panel on Sustainable Development, we need to move forward from the stagnant back and forth arguments related to the pursuit of economic growth. We need to discuss what kind of progress we want to achieve through economy and by what means. “And we need to involve everyone in this discussion; ordinary people as well as global parties”, stated the audience in unison. Expert Panel on Sustainable Development member Jaakko Kiander also stressed the fact that the discussion on sustainable economy needs more positive, solution-driven voices, since constant threats lose their effect. To achieve sustainable development, economy needs to be regarded as a tool for reaching sustainable well-being and not as a target in itself. According to Finnish policy on sustainable development, sustainable economy is a way of creating well-being and better quality of life as environmental impacts are reduced. In a discussion led by Eeva Hellström, members of the Finnish Expert Panel on Sustainable Development Tuuli Hirvilammi and Jaakko Kiander presented their recommendations on how the economy can be used as a method of promoting sustainable development. In the long term, technological development will solve many problems. However, we need solutions for issues such as reducing climate change today and not in 50 years. President Halonen also reminded everyone that there is not an infinite amount of time left. “The economy will not turn sustainable just by placing the word sustainable in front of it”, states Tuuli Hirvilammi. It needs to be bound to sustainable development at the very core. 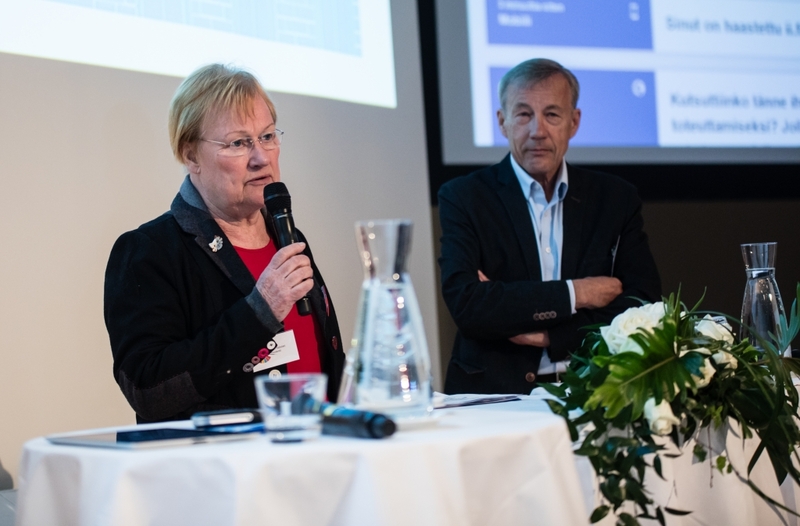 Alongside president Halonen, Emeritus Professor Sixten Korkman also commented on sustainable economy. “Ecological sustainability is the most important dimension of sustainability since it is an existential question for us. But we cannot tackle it effectively unless we also address poverty”, says Korkman. American economist Kenneth Boulding stated that “anyone who believes in indefinite growth in anything physical is either mad or an economist,” but Korkman disagrees. “It’s not about growth, but what the content of the growth is. We need to make sure that the growth is ecologically sustainable”, states Korkman. Bot sustainable development and economic policy have an effect on all administrative branches. That is why the Finnish Expert Panel on Sustainable Development think that they need to be better connected. On this note, President Halonen suggested for the goals and indicators of sustainable development to be included in the preliminary discussion of the budget. This way, the Government would have to think about the significance of their own choices to sustainable development, and at the same time, the realisation of the Government Programme could be measured with these indicators, as well. So do you have it in you? Can an economy be sustainable? Is the future yesterday, today or in 2030? What does social sustainability look like? Do decision-makers feel that scientific evidence is unnecessary? How are carbon neutrality and equality linked? Sustainable development is fundamental to all decision-making in society. However, we often lack the ability to apply it to our everyday life and grasp the opportunities it provides. 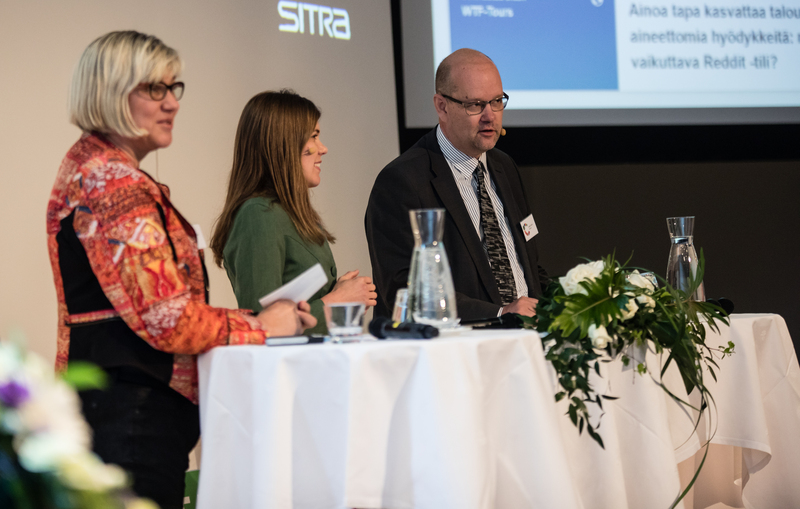 The expert panel hosted by Sitra helps make the voice of science better heard.